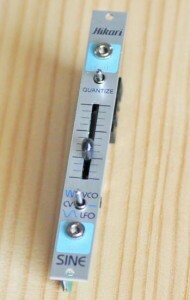 Hikari sine is contrle signal generator module. Mode switch will change 3 mode. it’s VCO mode, LFO mode and CV mode.